Considerable clinical and experimental studies have shown that depression-related disorders are the most common neuropsychiatric symptoms in Alzheimer’s disease (AD), affecting as many as 20–40% of patients. An increasing amount of evidence shows that monoamine-based antidepressant treatments are not completely effective for depression treatment in patients with dementia. Minocycline, a second-generation tetracycline antibiotic, has been gaining research and clinical attention for the treatment of different neuropsychiatric disorders, and more recently depression symptom in humans. 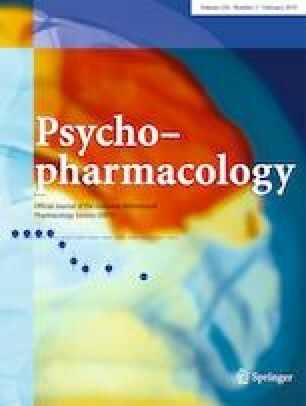 In the present study, we investigated the effects of Aβ1–42 administration alone or in combination with minocycline treatment on depression-like behaviors and anti/pro-inflammatory cytokines such as interleukin(IL)-10, IL-β, and tumor necrosis factor (TNF)-α in the hippocampus of rats. Our results showed that Aβ1–42 administration increased depression-related behaviors in sucrose preference test, tail suspension test, novelty-suppressed feeding test, and forced swim test. We also found significant increases in IL-1β and TNF-α levels in the hippocampus of Aβ1–42-treated rats. Interestingly, minocycline treatment significantly reversed depression-related behaviors and the levels of hippocampal cytokines in Aβ1–42-treated rats. These findings support the idea that there is a significant relationship among AD, depression-related symptoms, and pro-inflammatory cytokines in the brain, and suggest that antidepressant-like impacts of minocycline could be due to its anti-inflammatory properties. This drug could be of potential interest for the treatment of depression in patients with Alzheimer’s disease. All experiments were conducted under the recommended conditions of the Guide for the Care and Use of Laboratory Animals of the National Institute of Health (NIH).